How can you achieve success in social media marketing? Can your company achieve phenomenal growth without spending on advertising? 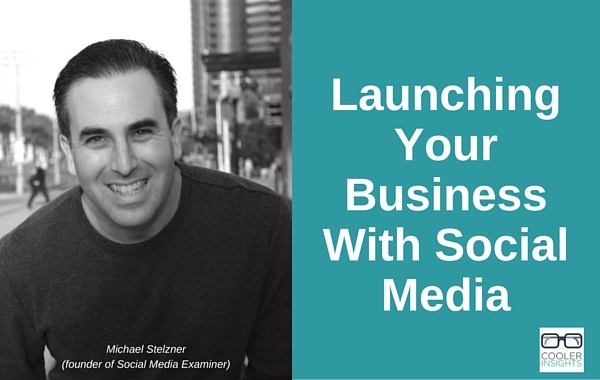 The answers to this and a whole lot more can be found in Launch – a guide to launching one’s business online by social media marketing guru Michael Stelzner. Subtitled How To Quickly Propel Your Business Beyond the Competition, the book provided practical tips to help us create more effective social media and content marketing strategies while partnering both internal and external influencers. Host of the popular Social Media Marketing podcast (I’m a fan and regular listener), Stelzner’s book was a treasure trove of social media techniques drawn from his own experience as a social media marketer. Read as: “Great Content” plus “Other People” minus “Marketing Messages” equals “Growth”, the Elevation Principle can be defined as “the process of meeting the core desires of prospects and customers by helping them solve their basic problems at no cost”. At its heart, Launch is about producing great content (aka “primary fuel”) such as detailed how-to articles, expert interviews, case studies, and more to help other people solve their problems. By producing helpful content that inspires, informs and engages, we are better able to “demonstrate expertise by the content (we) produce, the ideas (we) showcase, the stories (we) share, and the people (we) attract”. This would in turn reduce the need to advertise to attract people to our businesses. Before embarking on your marketing mission, Stelzner advised that you should be clear with your vision, develop SMART (Specific, Measurable, Attainable, Relevant, Time-bound) goals, and set your business course trajectory. You should also look for role models to emulate. Ask around you to see if you’ve got any knowledgeable peers and industry experts. Alternatively, study how big brands do it or seek insights from your community of followers. To augment your knowledge, you could set up “idea vaults” and create a discovery system. This would allow you to find influential people and experts, discern industry trends, and locate interesting content. Sources of information to populate your idea vault include Google Alerts, bookmark services like Delicious.com, Twitter Search, conferences, Amazon’s Hot New Releases list, and other online repositories of knowledge. There are three groups of people whom you should work with to launch your business online. Who should these people or businesses be? How are their daily lives likely to be? Which industries/companies would they belong to? What are their topical interests? What job titles do they hold? Probing more deeply, you should also identify the problems that they face, their familiarity with your topics, as well as their desires, needs and wants. This would apply to both their roles as consumers as well as potential clients for your business. These are the folks with the experience, training and knowledge to take things up a notch. They can help to expand your network through mutually beneficial arrangements, add credibility, attract other experts and help your business to stand out. To provide value to these experts, offer to expose them to your crowd, promote their projects, and make it easy for them to work with you. The “superheroes” of your industry, fire starters are experts with direct access to a highly engaged reader base. Their profiles would closely match the customer base which you are trying to target and acquire. Often, these experts have incredible influence. However, they need to be provided with unique opportunities to be part of something big. True gifts engage people and build relationships. In the social media world, your content must be genuinely helpful and valuable. Don’t wrap them up in sales or marketing messages. Such cloak and dagger practices are anathema to your community! Beyond free content that helps people solve their problems, you should publicly recognise the outstanding efforts of other industry players, promote other people’s content, and provide social proof (eg Facebook Fans, Tweet numbers, Email subscribers, etc) to show how popular your content is. A Call To Action (CTA) is a “suggested activity that guides people toward an outcome”. Often, the use of pop-up subscription boxes and integration of a CTA button in your navigation bar helps. Purchase now by clicking here. According to Stelzner, great content is highly relevant, educational, easy to digest, visually appealing, and conversation inviting, while lacking a sales angle. Part of your regular programming, primary fuel is equivalent to the “gifts” that you routinely dish out to your followers and community. They can be developed by yourself, outside experts, or freelancers. Such content includes “how-to” articles, expert interviews, reviews (books, videos, etc), case studies, news stories and contrarian stories (those with an opposing view to a main idea). They mays also be quotes or simple infographics. Considered more “potent” with the potential the grab the attention of many people, such content is usually more difficult to produce. However, they could reap significant benefits if done well. Examples include research and survey reports, e-Books, white papers, top 10 contests (eg favourite people, products, blogs or businesses), and micro events (eg webinars and other “live” events). Market through your subscription channels like emails, Facebook pages, and Twitter accounts. Through the Velocity Launch approach, you can market your products and services to your subscribers and reader base by “building anticipation and momentum that excites (your) reader base about (your) products or services while also moving them closer to a purchase decision”. This can be considered a type of Drip Marketing approach. Such tactics are commonly used in digital marketing efforts involving information rich products and services. The key here is to infuse your content with subtle marketing messages while guiding readers towards your offerings. To demonstrate how this can be done, Stelzner provided a detailed case study involving his company’s cash cow event Social Media Success Summit. 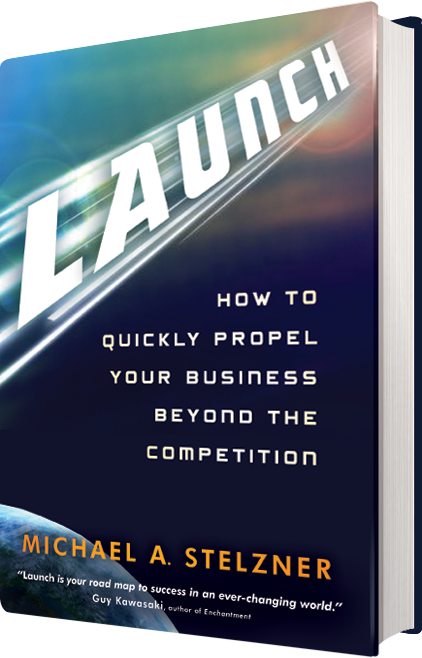 Overall, I found Launch to be a highly readable and compelling guide to navigating the world of social media. Although the book was published in 2011, most of its principles still ring true in this day and age. A firm believer in “giving to get” marketing, Stelzner is generous with sharing his experience and insights. In fact, you can still get lots of great content for free on Social Media Examiner! This is what I need to know very much.I appreciate you to sharing this post with us.The tips presented here , I think will set us on our way in the lucrative area of network marketing.